A few years ago black cohosh (Cimicifuga racemosa) became incredibly popular. Everyone and their sister was using it for hot flashes. The demand for it slowed down when a few concerns were raised. The first concern was in regard to women who have survived estrogen receptor (ER) positive breast cancer. The second was due to some belief that long term use could cause liver damage. In the case of liver health, questions still remain. There are a very few cases that have been presented that show a correlation between black cohosh use and liver damage. More studies need to be done. If this truly is proven to be the cause for the small number of recorded cases, then I think it merits the question of why now? There isn’t a history of recorded problems with the herb. For now, most authorities feel that the use of the plant is safe in moderate, occasional dosage. Black cohosh is currently “at risk” of extinction as determined by the United Plant Savers. It is perhaps not such a bad thing that its popularity has waned. Many of us are working to repopulate our native woodlands with this beautiful plant. It is a forest dweller that really likes shade and deep, moist soil. It is not as finicky as some of our forest-grown medicinals though and has been successfully cultivated for the dried herb market for years. My favorite part of the plant is its flower. In late spring it sends up this white plume covered in tiny white flowers. These flowers are fly pollinated, so to many it smells of rotten meat, but it smells sweet to my senses. Nonetheless, it isn’t the plant you want to put right outside your front door. 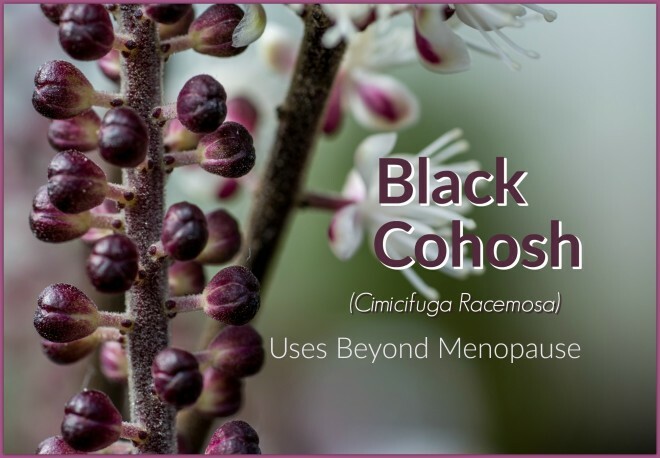 My favorite way to use black cohosh isn’t as the well known menopausal remedy. I love it for its anodyne (pain relieving) and anti-inflammatory properties in association with back pain. Next on my list is to use it during the last week of pregnancy. Black cohosh has been an effective tool for many to help the uterus prepare for labor in the last week. Before that it is contraindicated for fear that it will overstimulate and cause contractions when it would not be appropriate to do so. For those who are at the end of their 40 weeks and are beginning to get pressure from doctors to induce, a tincture of black cohosh can safely move things along. Matthew Wood, renowned herbalist and respected clinician, suggests a small dose is all that is necessary. He suggests 1-3 drops up to three times a day either to prepare or to move along a labor that has been stalled may be just the ticket to avoid more invasive procedures. I like Matthew Wood’s advice on this herb. He has found in his clinical practice that a little goes a long way. It is similar to the way I recommend bee pollen. That too is a limited commodity. 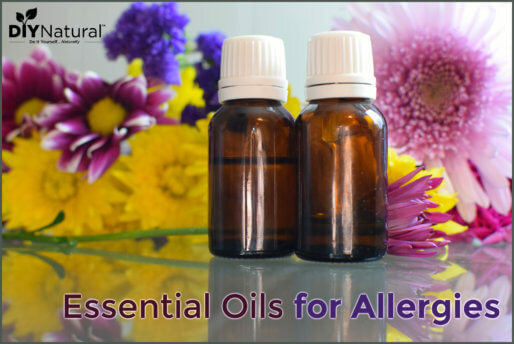 It’s not dangerous to use more of either plant or pollen, but it is not necessary so why waste? Black cohosh should be used sparingly in recognition of its dwindling population and it should only be bought from those who have raised it sustainably and respectfully. 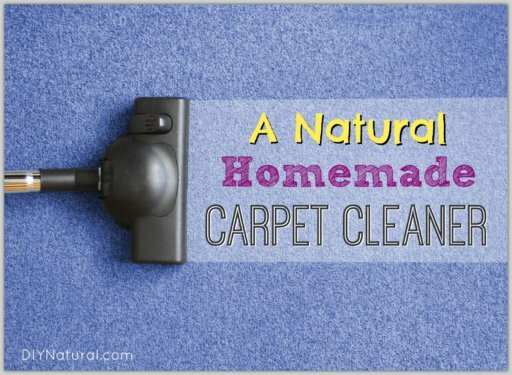 Do you use black cohosh at home? What are you treating? Your article had been great. I have using this heard for over 5 years; however, recently I’m getting allergic to herbs. Is there anything else to take for back pains. Rose, I’ve had good success with boswellia and DLPA for pain issues. Also, if your adrenal glands are stressed it can cause lower back pain. I’m taking some adaptogenic herbs for stress and drinking lots of fresh well water. How do you use it to treat back pain? As a tincture? Or would you make a salve? I always love your newsletter. It has provided me with so much useful and easy to use information. Many thanks! Yes, as a tincture. It’s a wonderful anti-inflammatory and it’s often used in a chronic dose, at least three times a day. How much of the tincture do you normally take/how often for back pain? Is it the same doae for menstrual issues? As an anti-inflammatory it is best to take it in a chronic dose until you can drive down the inflammation. Typically this means people use a tincture or pill three times a day. Use it as directed by your label, usually anywhere from 15-40 drops at a time. Hope this helps…..I think I just over used it. I still keep a little in my herbal cabinet because it’s an effective herb……I just need to learn more about it. I used black cohosh starting in my late 20’s for heavy bleeding & cramping..It fixed all of that right away.. I kept using it through the years. When I was having menapause at age 46, it was a breeze. I didn’t even have any issues.